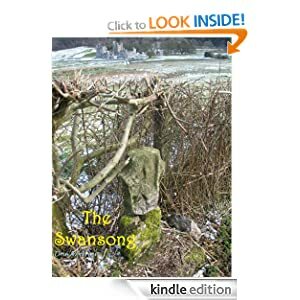 The Swansong by Una D’Arcy. This is the second book in Una D’Arcy’s Selfish Realm series, the first being Wraiths which I reviewed some months ago. In The Swansong we once again are brought to the myths and legends of the Midlands of Ireland where believe me there are plenty! We get to re-visit some of our favourite characters from the first book Wraiths, which if you are a lover of series is a good thing.I am particularly fond of Fidgen, he is such a fun character and of course the girls Amy, Sinead, Mary and Anna. The Swansong is set around the Children of Lir one of our most well-known legends in these parts and one very local to the area. Although aimed towards the younger reader anyone who reads the YA genre would thoroughly enjoy this series. Una D’Arcy’s style of writing is so easy to read and she weaves a magical tale that keeps you spellbound. Through her power of words you are transported to the Midlands of Ireland where you are captured in its magic spell and held until the last word is read. Just as Harry Potter books have made us want to visit Hogsmeade and wish we all attended Hogwarts, The Swansong will make you wish you had Wraith powers and lived here in Mystical lands of the Midlands. This entry was posted in Books and tagged The Swansong, Una D'Arcy, Wraiths. Bookmark the permalink. Yay for a great read!